Have no fear, “The Spider” is here! Well, to say the last 24 hours in this little MMA bubble has been a whirlwind would be an understatement. 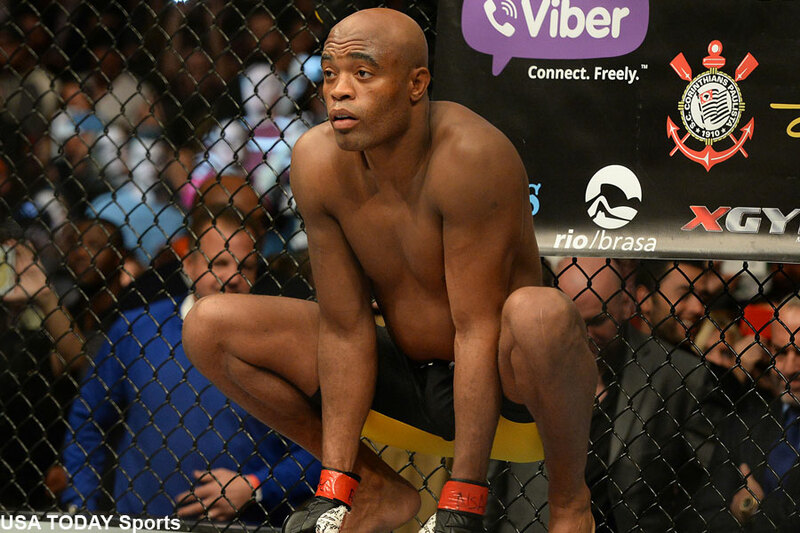 After watching Jon Jones bow out of UFC 200‘s main event against light heavyweight champion Daniel Cormier for flunking a pre-fight drug test, former UFC middleweight king Anderson Silva (pictured) has agreed to serve as last-second substitute on just two days’ notice. UFC president Dana White announced the matchup Thursday night via Twitter. Unless you’ve been sleeping under a rock for the past day, interim light heavyweight champ Jon Jones was slated to headline Saturday’s historic event against Cormier, but was pulled Wednesday after the USADA informed him he “potentially” failed a June 16 drug test. Silva was already headed to Las Vegas to attend his buddy Antonio Rodrigo Nogueira’s UFC Hall of Fame induction, so travel wasn’t an issue. What was a roadblock was Silva had his gallbladder removed in May. Apparently the Nevada Athletic Commission had no problem with licensing the 41-year-old Silva. The 205-pound contest will get third-to-top billing, and will be a non-title tilt. Cormier was hoping to avenge his lopsided unanimous decision defeat to Jones from 18 months ago, but that will have to wait for … well, for who knows how long? Cormier captured the vacant light heavyweight title that Jones was stripped of following his hit-and-run arrest by beating Anthony Johnson. Cormier followed that up by posting a split decision over Alexander Gustafsson in October. While Silva remains a massive name in the MMA world, he actually hasn’t notched a win since beating Stephan Bonnar four fights ago in 2012. The man once considered by most pundits as the game’s GOAT suffered consecutive losses to Chris Weidman, one of which shattered his shin in two, that cost him his middleweight throne, tested positive for multiple performance-enhancing drugs after beating Nick Diaz and lost a controversial decision to Michael Bisping since embarrassing Bonnar. The good news for Cormier is that he won’t miss out on the massive payday that was coming his way for fighting at UFC 200. Cormier, along with only a handful of other fighters, gets a percentage of the pay-per-view pie for events her performs in. Also, facing a 41-year-old future Hall of Famer who recently had his gallbladeder removed on just two days’ notice should be easy pickings. Another interesting UFC 200 twist is that the women’s bantamweight title tilt between champ Miesha Tate and Amanda Nunes now headlines the monumental show. Former UFC heavyweight champion Brock Lesnar and Mark Hunt slide back to the card’s co-main event. Is that enough drama for you? Let’s not even mention that the rematch between Conor McGregor and Nate Diaz was originally slotted to headline the gig.